Iggy is a medium dark sable female with a rich red accent to her coat. Good earset, correct tail and gorgeous structure. Iggy is a happy go lucky girl, super sweet, great with puppies and young children. She possess a natural retrieve, high food drive, super agility and great intelligence. Iggy is from the second breeding of Canny/Dax, I ended up breeding the same combo three times because they were so well liked. 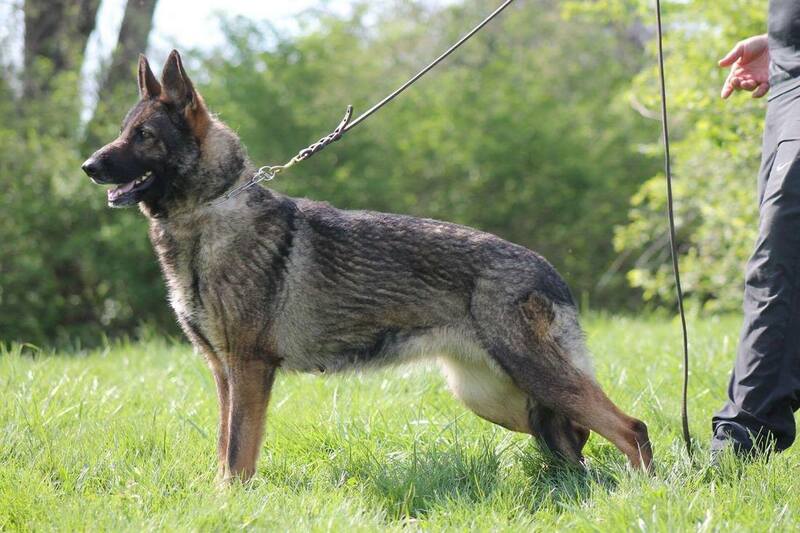 Her siblings are in companion, AKC obedience, PSA and schutzhund homes.